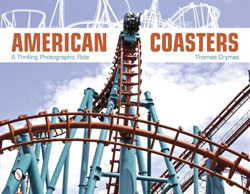 American Coasters is one coaster enthusiast's photographic journey across the USA in search of the next great thrill. 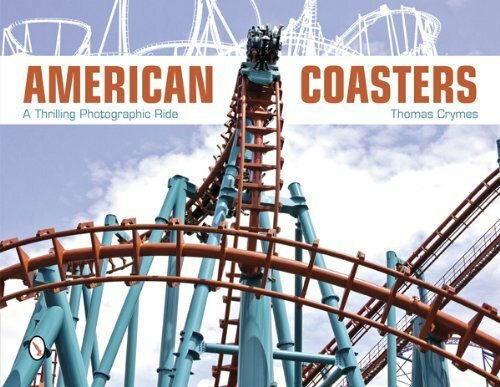 From Massachusetts to Florida, from New Jersey to California, this book contains adrenaline-inducing images of more than 100 different roller coasters from 21 different parks in 12 states. And for the adrenaline junky searching for that perfect ride, this thrilling look at American coasters also covers nearly 40 featured coaster profiles complete with all the vitals and a brief commentary. Whether you like wood or steel, loops or launches, this book showcases a wide variety of different roller coasters built over the last 90 years at parks like Cedar Point, Busch Gardens, Kings Dominion, and Six Flags Magic Mountain. ©2000-2017 Joyland Books. All Rights Reserved.